Sustainability is incorporated in our business. This intrinsic value throughout the entire organization gets more and more attention because of the increasing damage to the environment worldwide. This is why sustainability fits perfectly in our best-in-class strategy to make sure our environmental footprint is as small as possible. After strategic deliberations, we set targets on environmental, social and economic level for 9 United Nations Sustainable Development Goals (UN SDG). These targets have been set voluntarily as we strongly believe in the fundamentals of corporate sustainability. Apart from the UN SDGs we also have an annual report: The 2018 GRI report, based on the GRI standards guidelines. Our sustainable strategy ensures that we collaborate with partners and suppliers that are organizations which also work towards a more sustainable world. We want to encourage any corporation and individual to help to achieve this goal. The targets, at their current extent of contribution, are presented in the pie-chart below for a comprehensive review. 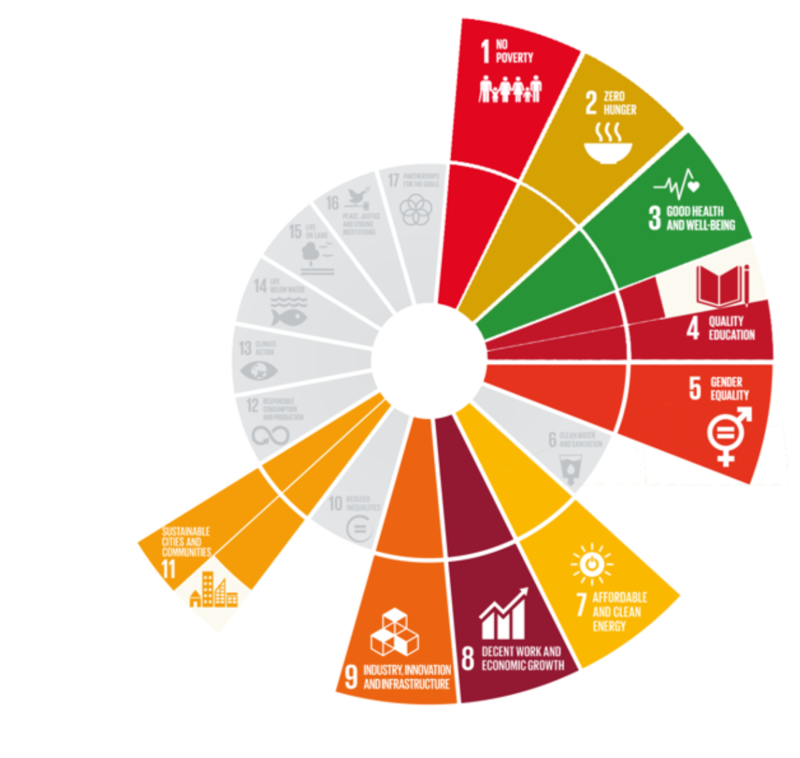 The 9 selected UN SDGs have been highlighted and their corresponding contribution by Pincvision is shown by the extent of the UN SDG colors.